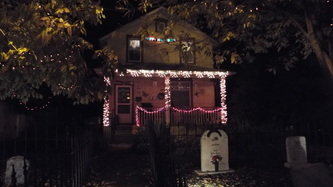 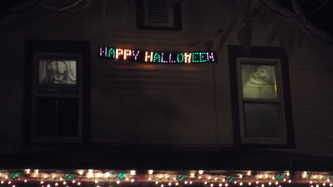 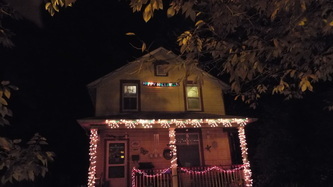 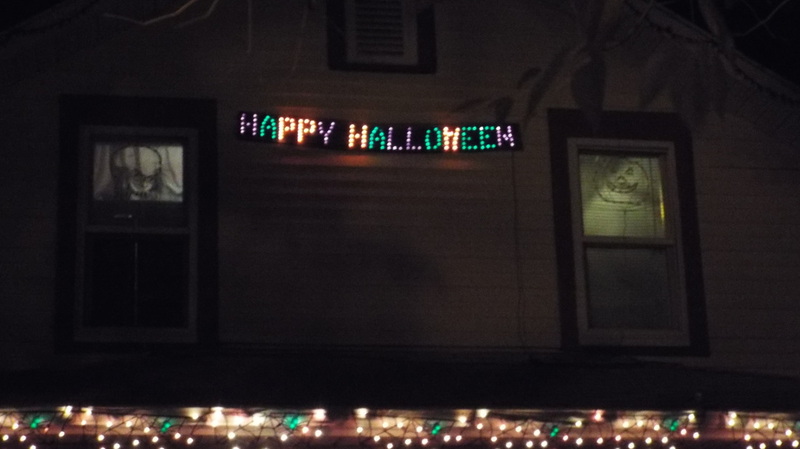 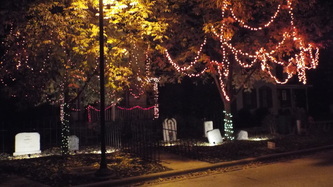 Hambly Halloween light display is a different kind of Halloween attraction. 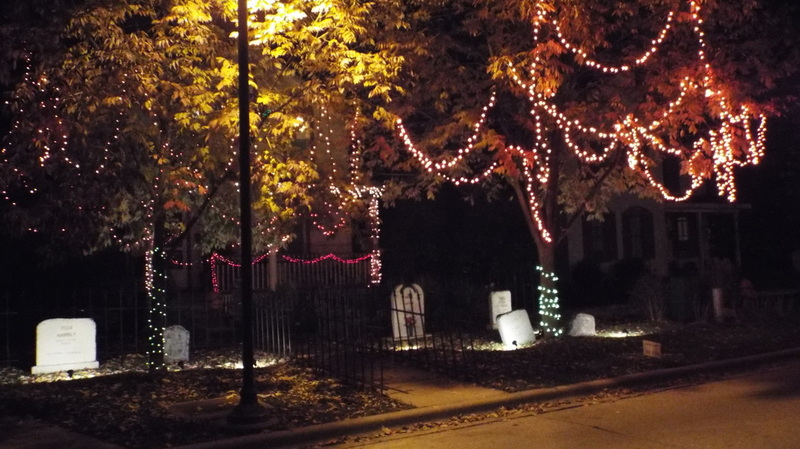 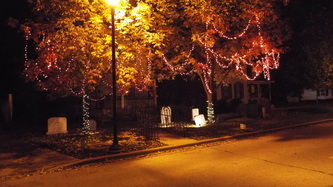 Rather than showcase the typical Halloween themes of blood and gore, Hambly instead opts for a light show, with over 5,000 lights synchronized to music. 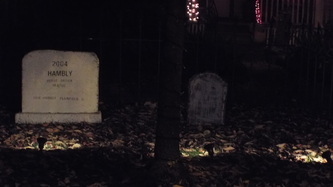 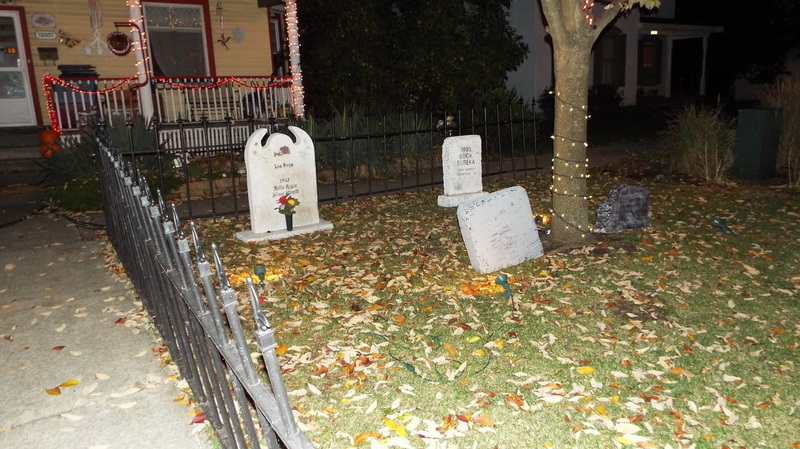 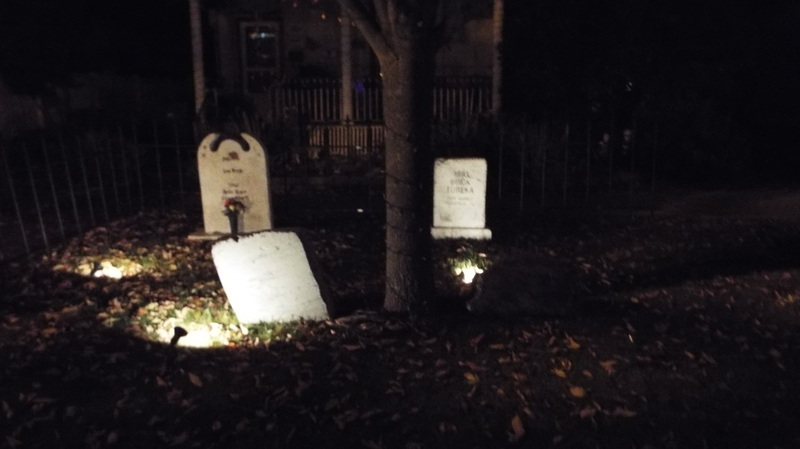 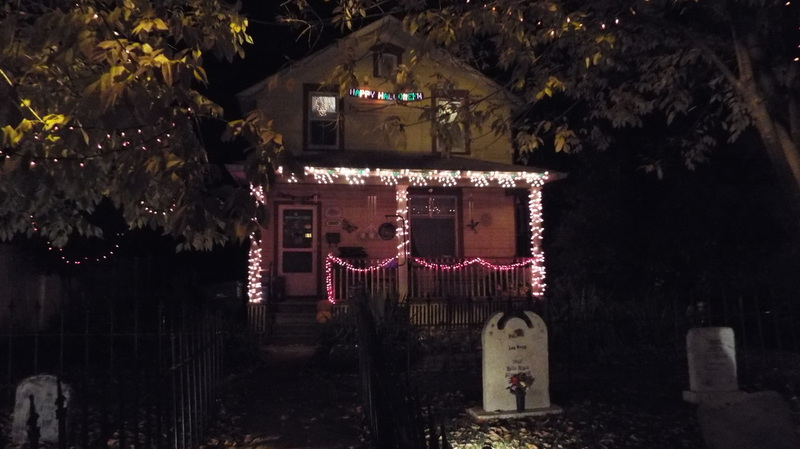 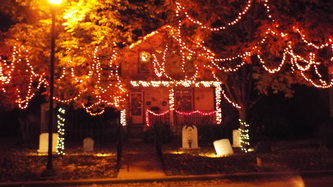 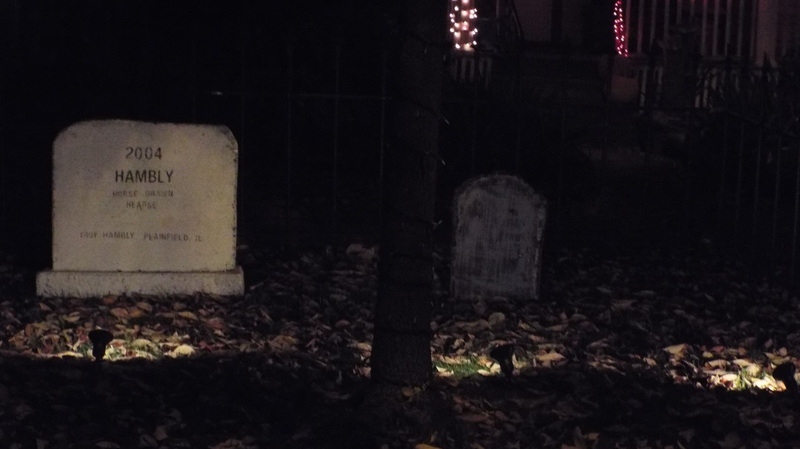 Although the home does feature a small display of a cemetery fence and some tombstones, the main attraction is the house and surrounding trees, all of which are covered in various colored lights. 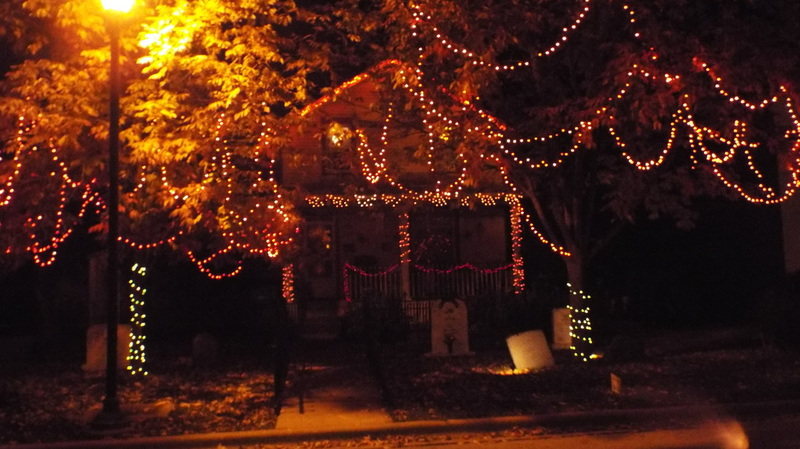 Visitors can tune into a local radio frequency when they get close enough, and when they do they will hear various Halloween themed tunes playing. 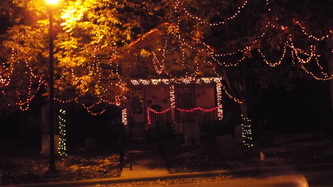 As mentioned, the lights dance in tune with the music, providing a very entertaining show. 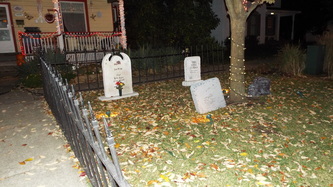 We don't know how long the music lasts, but when we visited we stayed for at least four or five songs and heard no repetition. 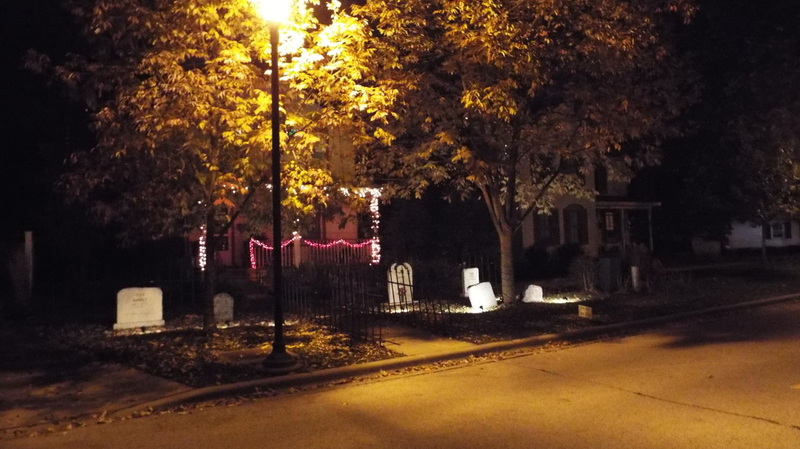 Also, visitors don't even have to leave their cars for the show, as the music comes right out of their car radios. 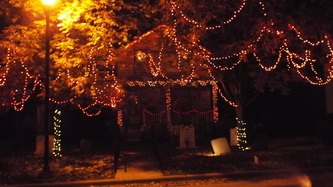 If you want to view from up close, though, the music also plays directly in front of the house, so no radio is actually needed. 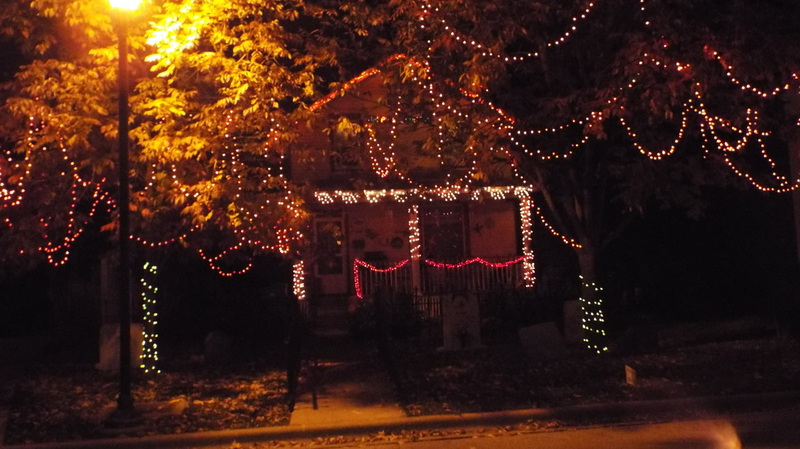 In all, Hambly provides a really nice, fun experience that's family friendly and enjoyable. It's prefect viewing on those cold October evenings, so grab a nice hot beverage, pile in the car, and take a ride to visit the Hambly Halloween display.